The Sisters of the Good Samaritan have formally commenced a 15-month discernment process which will culminate in their 26th chapter gathering in September 2017. On the Feast of St Benedict, July 11, Congregational Leader Sister Clare Condon proclaimed the 26th chapter gathering during evening prayer in St Scholastica’s Chapel, Glebe in Sydney, and called all sisters “to a new place of personal and communal renewal and to be enlivened afresh by our charism and heritage”. Good Samaritan Sisters in their various communities throughout Australia and in Japan, the Philippines and Kiribati joined in prayerful solidarity with Clare and about 70 sisters, oblates and friends gathered at Glebe. In the life of a religious congregation a chapter is a major discernment process and event – a time for members to take stock, come together, set future directions and elect new leadership. For the Sisters of the Good Samaritan, chapters are held every six years. “When gathered in chapter the group is collegial. Major decisions for the life of the group are made at a chapter,” said Clare. Clare said over the next 15 months sisters will be asked to participate in consultation and discernment about the key directions and matters which will form the basis of the chapter gathering. “Oblates, associates and partners in ministry will also be invited to participate in consultation and key moments in the life of the congregation,” she said. Guiding the consultation and discernment process over the next 15 months will be the Congregation’s Chapter Planning Committee and two external facilitators, Donna Fyffe and Catherine Schneider OSF, both experienced process consultants and facilitators from the US. It is still early days in the process, but according to Sister Patty Fawkner, Chair of the Chapter Planning Committee, the response from sisters so far has been “very positive” and “encouraging” for the four-member committee, which includes Sisters Helen Anderson, Leonie Duenas and Meg Kahler. “They enjoyed the discussions about the three questions that were endeavouring to uncover significant aspects of our life and mission at this time: As a congregation, when are we at our best? What are our angsts? And if we had a magic wand and wished to change something about the congregation, what would you change and why,” said Patty. “We’ve also been told that they enjoy our brief one-page update we send out after each of our meetings. We were planning to send a longer bulletin, but the feedback has told us to stick to one page. When comparing the 26th chapter with previous chapters, Patty could identify two differences. “In previous chapters we have stayed in various convents around Sydney and travelled to St Scholastica’s [Glebe] daily. This time about half of us will be staying onsite while the rest will be staying in a nearby hotel. “Chapters require a level of physical and mental energy, so we’re hoping that this arrangement will facilitate sisters’ participation,” she said. “Another change is that we’ll be involving key people beyond the congregation as we explore the future of Good Samaritan life and mission for these times. We’ll be talking with oblates and partners in ministry, many of the people who work alongside the sisters and are imbued with the Good Sam-Benedictine spirit. The Good Samaritan Sisters’ chapter gathering will be held at Baulkham Hills in Sydney from September 23 to October 2, 2017. 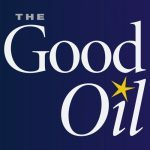 "The Good Oil", the free, monthly e-magazine of the Good Samaritan Sisters, publishes news, feature and opinion articles and reflective content which aims to nourish the spirit, stimulate thinking and encourage reflection and dialogue about contemporary issues from a Good Samaritan perspective. If you would like to republish this article, please contact the editor. What does stability look like in communities?